Imagine yourself traveling by caravan for many weeks along Uzbekistan’s Silk Route and suddenly in the distance the sun strikes the vivid blue dome of Samarkand’s Kok Gumbaz mosque. 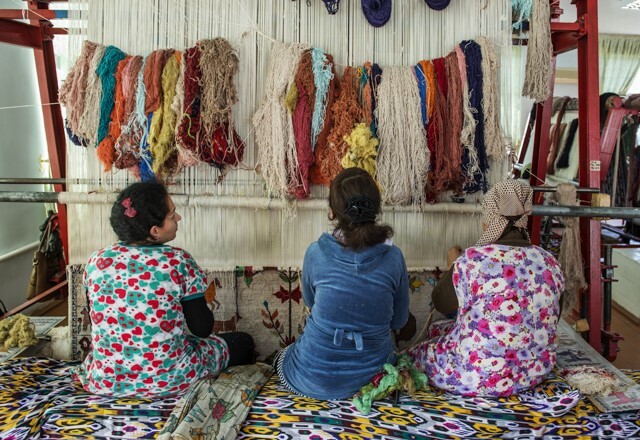 Join us on this new photography workshop along Uzbekistan’s ancient Silk Route. Taught by Terry Abrams. Produced by Barbara Nelson. The Uzbekistan workshop will start and end in Tashkent. 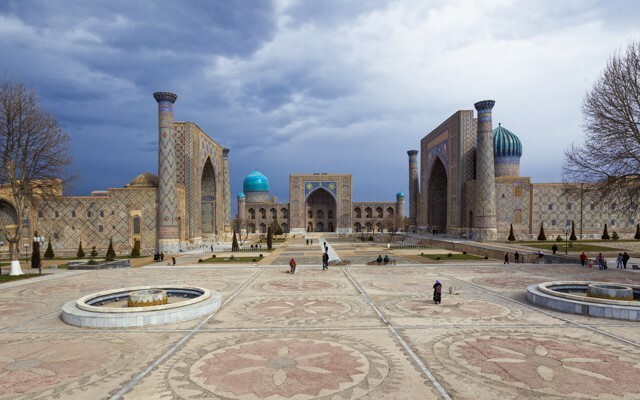 We will be based in three locations, Tashkent, Samarkand and Bukhara, making side trips and excursions from each location. We will be publishing a book from this trip and your pictures will be included. Local English speaking experts versed in the history and culture of the country will inform and guide us to the world famous mosques and sites from the Ottoman Empire and medieval times. Markets and local life of the people. Local crafts people at work, secrets of the old parts of town – all and more will be locations for the best photography. 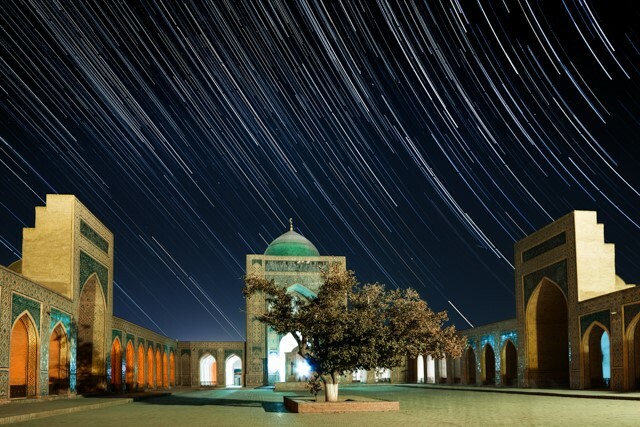 Observatory of Ulugbek is the astronomical miracle of medieval Uzbekistan. We will be there to photograph it. Several side trips into mountain areas are planned to meet and visit local people, discovering their cultures. We will have tea and food, learn bread making, cook Plov and generally experience and participate in their everyday life. Capturing the essence of a location with a unique personal vision is the focus of this small group workshop. 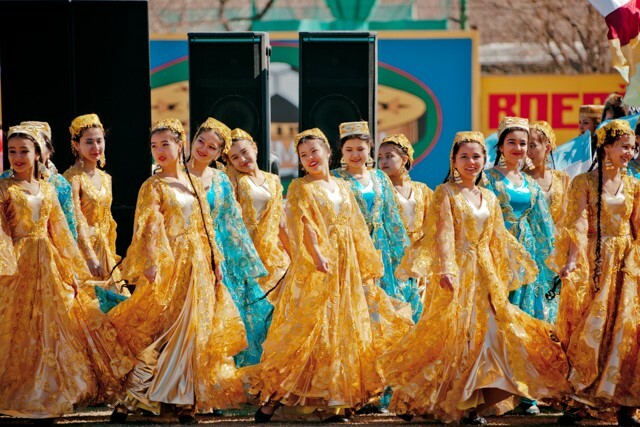 Learn to catch the mystery of place and people in this centuries old region of Central Asia. We meet daily, and some evenings for low light shooting, to explore different neighborhoods of the city, providing a complete range of subjects to photograph. You will learn new techniques, and practice known skills as we explore different environments throughout the workshop. The days will be organized to allow for importing images for regular reviews and critiques, individually and in the group. The Uzbekistan Photography Workshop is produced by BARBARA NELSON and taught by TERRY ABRAMS. 50% deposit required with reservation. Check or money order payable to Barbara Nelson. NOTE: Visa application may take several weeks.